Conceived over 60 years ago and originally housed in renovated war-time Nissan huts, the CVC was relocated to its present site in 1992. The Club’s main purpose at inception, and still as important today, is the social wellbeing of the local community. 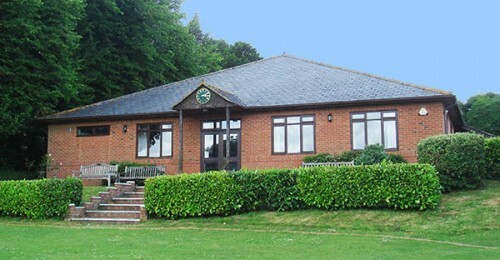 The modern clubhouse, situated in Brown Candover, has a two principal rooms and a fully fitted kitchen. The main rooms consist of a sizeable village hall (with retractable skittle alley) and a seated leisure area with licensed bar selling drinks at discounted prices. The bar area houses a full size snooker table in excellent condition. Outside is the village green where the local cricket team play their home matches. The green is maintained to a high standard and the local community are encouraged to make use of it as a multi purpose recreation ground. At present the clubroom and bar is open to members and non-members of the Club most nights of the week, although the facilities in general are available for hire at almost any time. To benefit local residents the hire fees are reduced to members of the Club. There is an active management committee who host village events throughout the year. More specifically, their recent challenge is to provide an increased variety of social activities for local children. These include discos, an Easter Egg Hunt, a Halloween Night and a Magical Christmas Party. Events for the wider community during the last 12 months have been a Golf Challenge, a Race Night, an Annual Quiz and a Village Barbecue. In addition to the organised events, the club plays host to regular whist drives, bingo nights, aerobics and a snooker competition. There is also a thriving darts club who play in the local darts league. More recently, we have started a Yoga class, Toddler Group and even a Cub pack. Scouts will start in the autumn. For more information visit the club website or telephone 01256 389099.